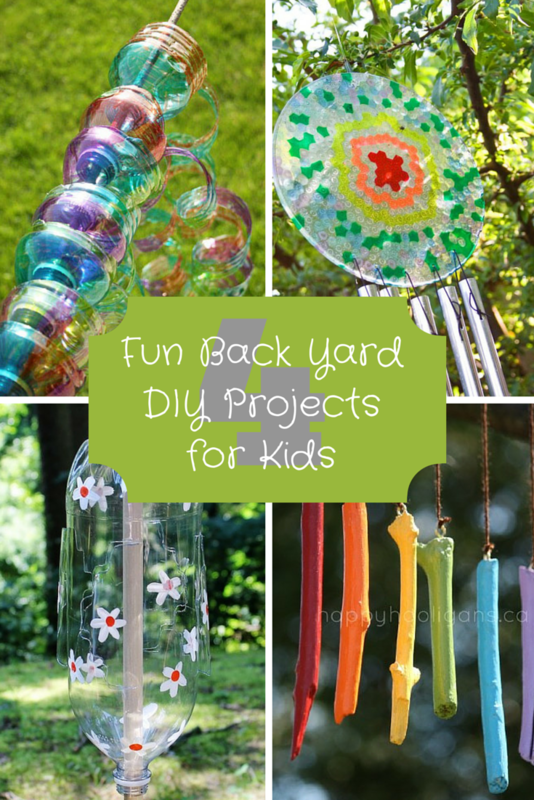 Looking for a fun project to keep the kids busy? Consider adding some personalization to your back yard. Here are 4 fun weekend projects for you and the kids to do. 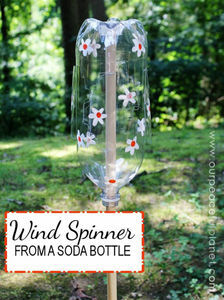 Teach the kids what it means to recycle with these water bottle wind spirals. 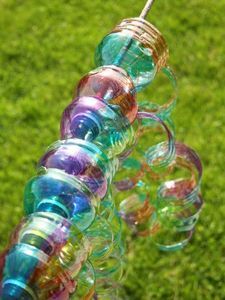 Instead of throwing out your water bottles, have the kids turn them into moving art. They’ll have a blast coloring the bottles with whichever design they like. Then, they can enjoy them as they dance on the wind. You’ll find all the instructions on CBC Parents. This is a super easy project. The kids paint the 2 liter bottle however they want and get to see what designs it makes when it spins. The kids will probably need help when it comes time to cut the bottle. It’s a great tool for teaching them about wind and weather (you could pair it with a rain catcher), and will certainly be something they will want to watch day after day. Get the instructions at Our Peaceful Planet. The finishing of this project definitely needs to be done by an adult, but the kids will have a great time make their own pattern and choosing the colors. 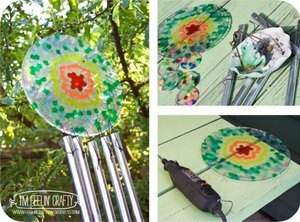 I saw another blogger do this same project and they used cookie cutters to create a whole in the sun catcher, so you may not even need to drill if you plan it out correctly. Be forewarned that the beads do let off a bad odor when they melt, but an open window and air freshener can fix that right up, or you could choose to do it outside on a grill. See how this is made at I’m Feelin’ Crafty. 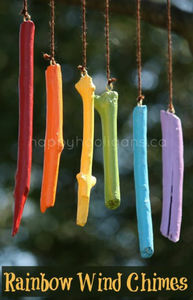 This project is great, because the kids can find the sticks right in your yard. They can choose which ones they want to use to make their wind chime unique. Then, they can choose whichever colors they want to paint them. Head over to Happy Hooligans to see the step-by-step instructions. If you try any of these projects, make sure to let us know how it goes in the comments below!